Scaredy Cat Phonics is SUPERB! This unique phonics programs combines a variety of teaching styles and allows the parent to pick and choose what works best for their child. It include lots of games and songs as well as a very entertaining workbook to help the child learn to read. It focuses on Mastery of a phonics level before moving on so the child easily learns and loves it. I am now teaching my second child to read. My first child reads so much that she often gets in trouble because we can't get her to put a book down! One of my favorite things about it is when I call to order or when I have a question, I am connected to the author herself, Joyce Herzog. That is a rare perk! Comments for Scaredy Cat Phonics is SUPERB! Many people pick material that makes sense to them but they already know how to read. Joyce writes from the kids perspective. 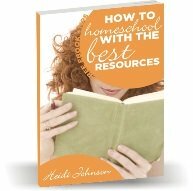 This is really a well put together reading system that has helped so many mothers in homeschools around the country. Look at all her other authored material, can't miss! Have you or loved ones had trouble learning to read? This is the best approach I have seen in 50 years. Common sense rules and personalities given to letters make mastering the material fun. Conceived for children, I believe this product also reaches teens and all ages of adults. If everyone had access to this system, much illiteracy would be erased!